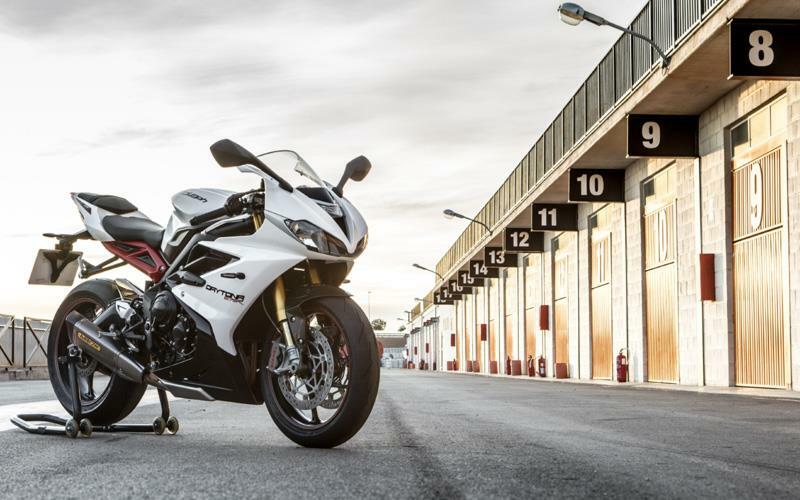 Faster, better handling, easier to ride and with an even angrier engine note, the 2013 Daytona 675R took Triumph’s supersport weapon to another level. Launched alongside the standard Daytona 675, it was the first major update since the 675’s release in 2006. Every inch of the machine is different. 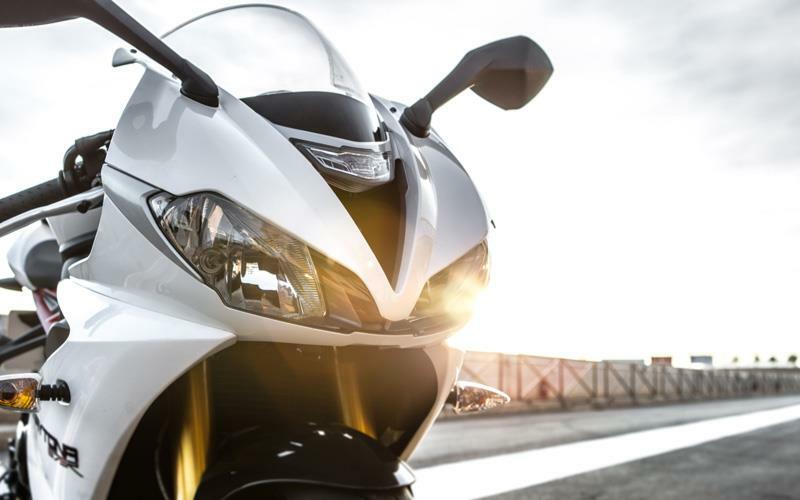 The Daytona 675 is still the undisputed king of the 600 sports bikes, and is a brilliant used bike. It’s simply an epic machine. 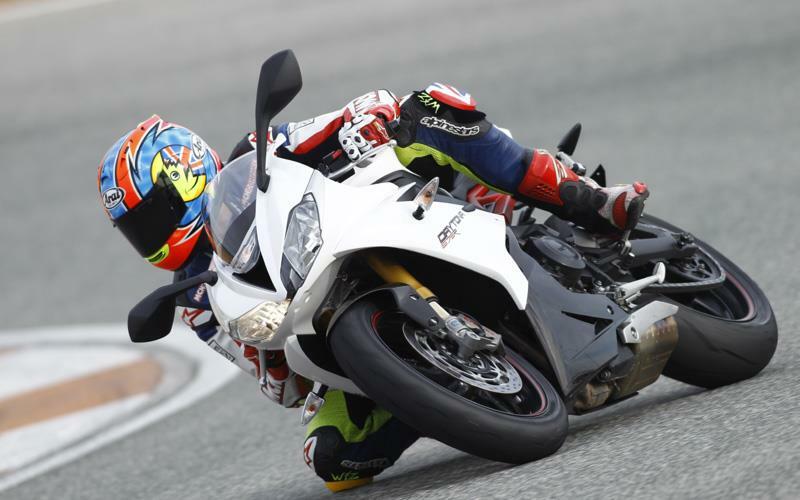 By moving the exhaust Triumph managed to make the Daytona 675R shorter, squatter and faster steering. Very few bikes handle as well as this out of the crate and even fewer are as easy to ride fast. 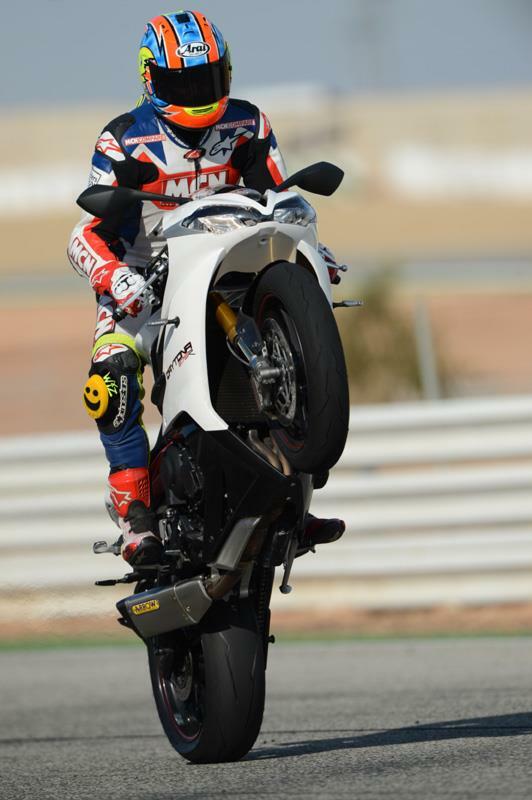 Here’s a machine that makes its rider look very, very good. 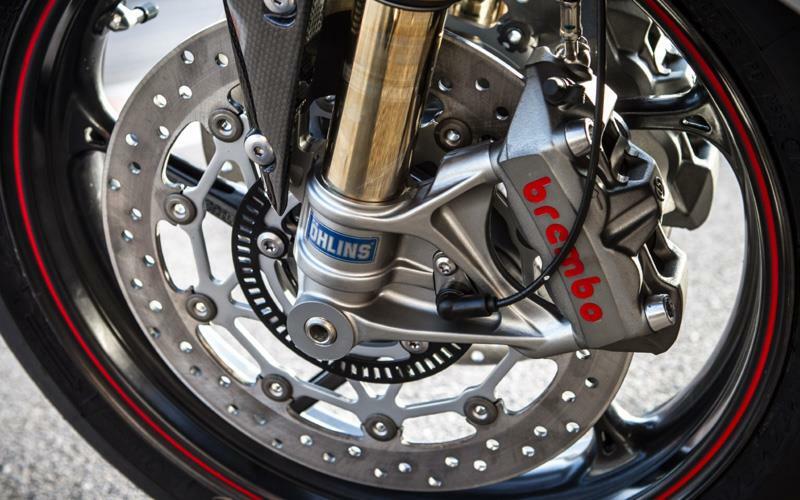 This R model’s Ohlins suspension and Brembo brakes move the bike’s limit way above the average rider. Road holding is excellent, the ride quality plush and the bite from the brakes incredible. The ABS has a ‘circuit’ setting, which disables the rear ABS and lets you slide into corners. A 126bhp three-cylinder 675cc short-stroke engine only makes 2bhp more than before, but it revs harder and is ripe for tuning. It has a new cylinder block, pistons, gudgeon pins, crankcase oil baffles, titanium inlet valves and gearbox. There are new twin-injector throttle bodies, ECU and a bigger central air intake running through the headstock. 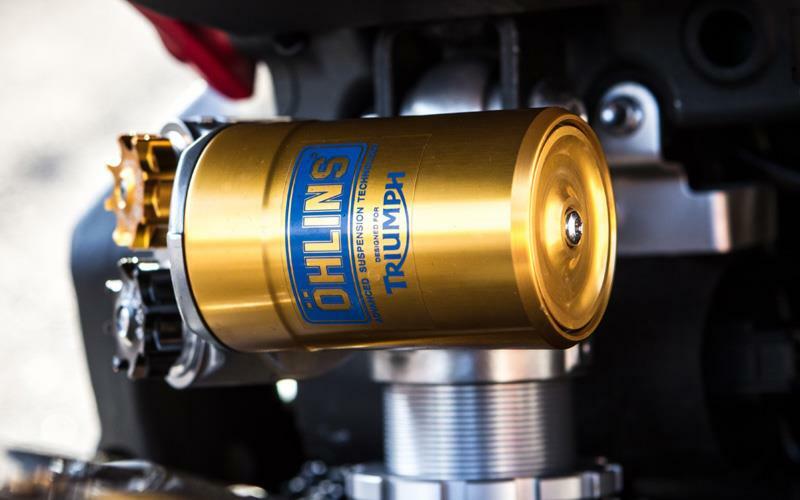 A new slipper clutch has a two-way ramp for extra slip and grip on and off the throttle and lighter clutch springs. The exhaust is repositioned up and under the engine to aid weight distribution. The motor is less breathless than before in the midrange and high revs, but still has buckets of torque. It flies off corners and crucifies straights. 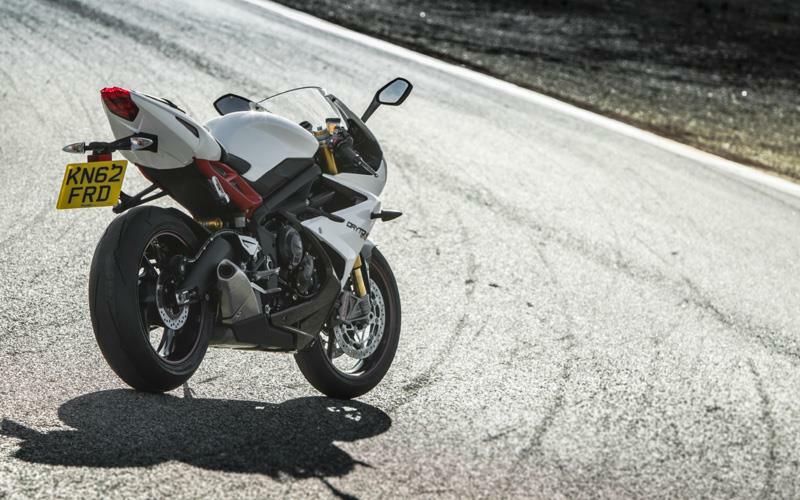 There’s a noticeable jump in quality over the previous Daytona 675R, but some of the more hidden areas are built down to a price. The Daytona hasn’t been without its reliability problems along the way but on the whole it’s a very dependable machine. 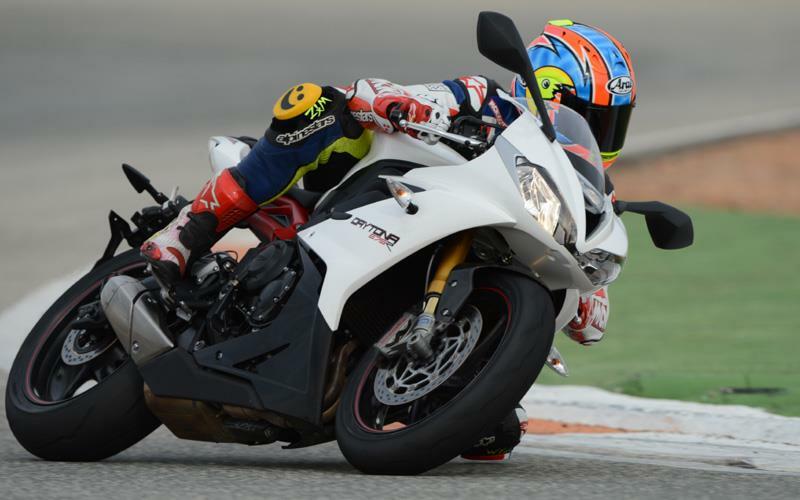 For the amount of performance you get, the Daytona 675R is excellent value for money and the cheaper, standard version even better. 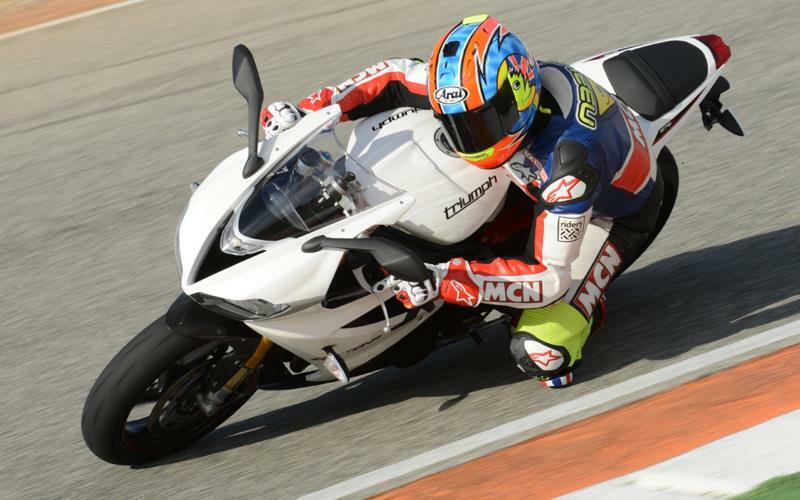 It’s easier to ride fast than a litre bike and better spec’d than a Suzuki GSX-R750 and Ducati 848, so it’s arguably one of the quickest A to B motorcycles you can buy. They're starting to appear on the used market for £5500 and up, which is excellent value for such a well sorted machine. 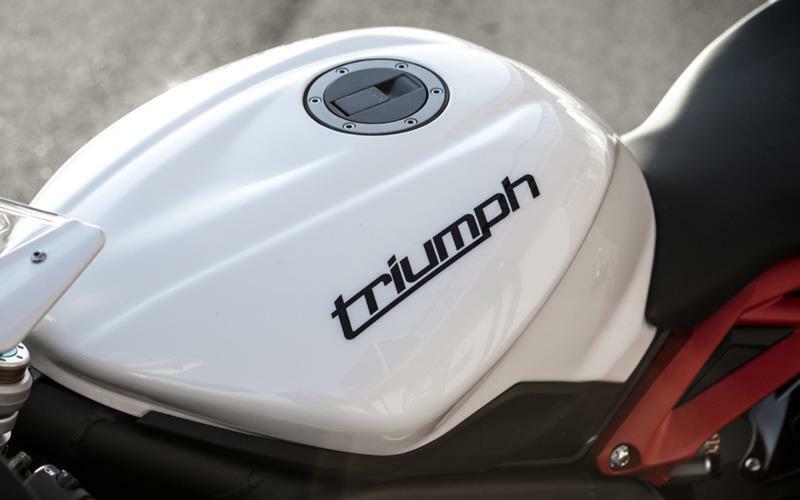 Aside from the ABS and quickshifter, there aren’t any electronic rider aids, like traction control or variable power maps, but the Triumph is that easy to ride, it doesn’t need them. There’s a multi-function LCD dash, adjustable swingarm pivot as well as the Ohlins and Brembos. 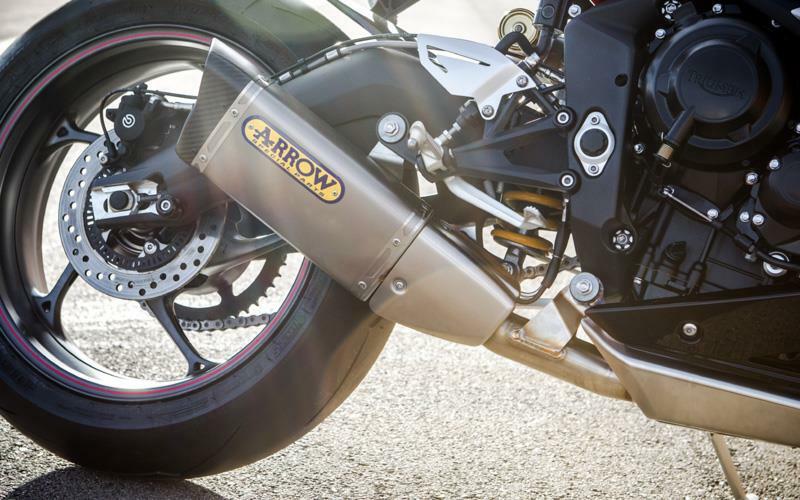 The 675R comes with carbon fibre goodies. There’s also a wide range of official accessories including a race kit, for the first time. Front brake 2 x 310mm discs with four-piston Brembo monobloc calipers and racing ABS. Rear brake 220mm single disc with single-piston Brembo caliper and racing ABS. 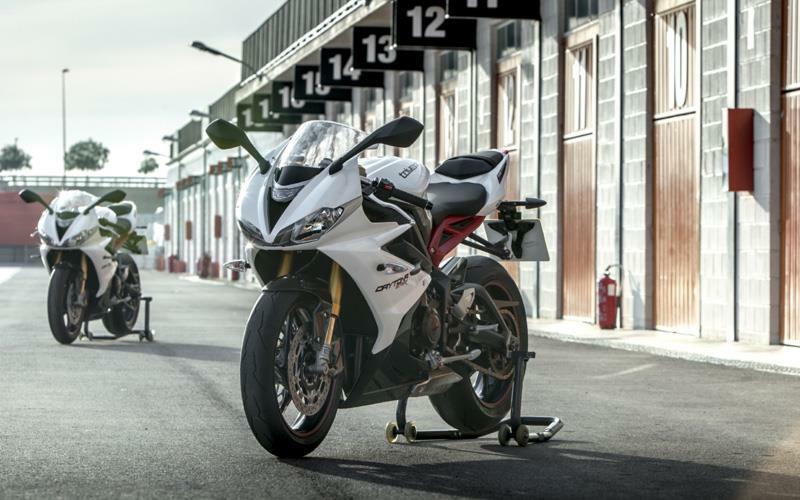 2009 – Facelifted Daytona 675 launched with an extra 3bhp, less weight and revised bodywork and ECU. 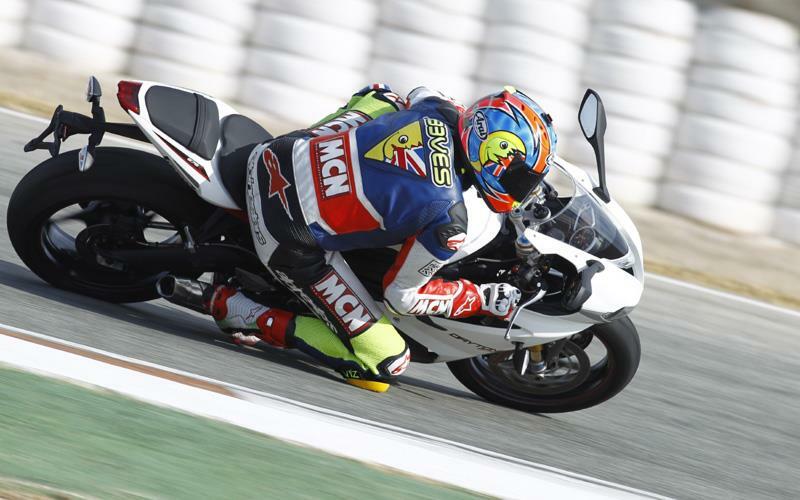 2011 – ‘R’ version launched with Ohlins suspension, Brembo brakes, a quickshifter and carbon fibre front mudguard, hugger, exhaust cap and fairing infils. 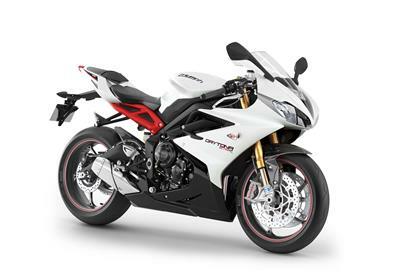 2013 – All-new Daytona 675 and 675R launched. 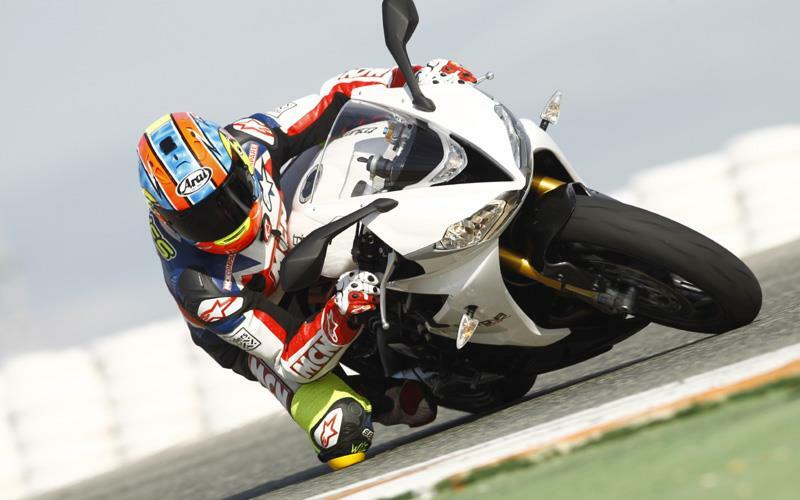 3 owners have reviewed their TRIUMPH DAYTONA 675 R (2013-on) and rated it in a number of areas. Read what they have to say and what they like and dislike about the bike below. Phenomenal. I owned a 2009 Daytona before this and the lift in performance on what was already an excellent bike is incredible. I've now done 40,000kms on it and numerous track days. Fabulous. The combination of performance and light weight is unbeatable. Best handling bike ever. My arms aren't strong enough to use the brakes to their maximum. Nor my nerves. Unbelievable engine. Thrash it continuously. 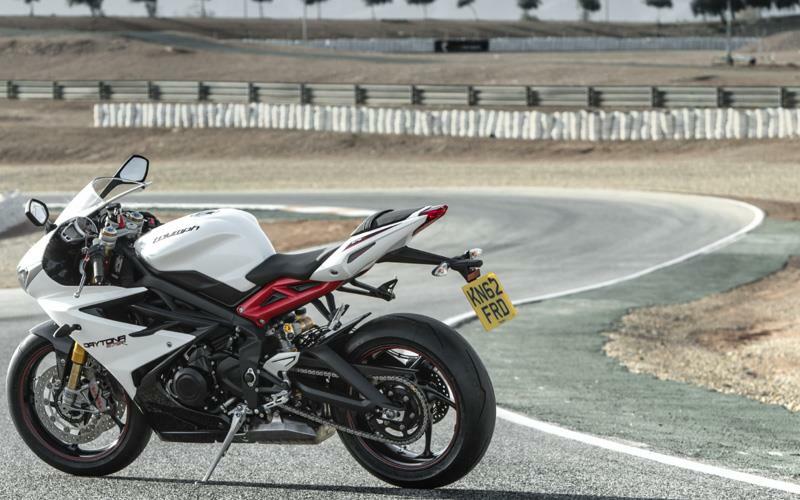 It produces more power and more torque than the new 765RS. 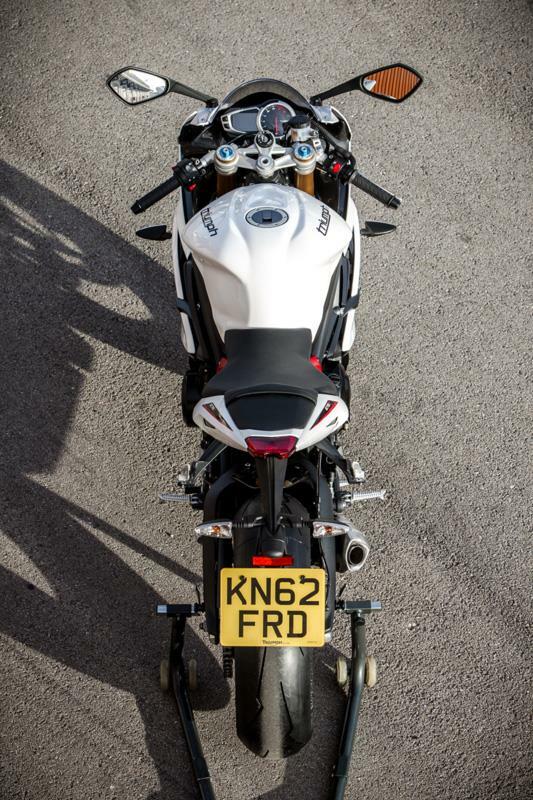 I has been rated by motorcycle reviewers as the best road engine ever. They are correct. Basically excellent, but at 40,000 kms starting to feel a bit worn. That cost is in NZ$ and includes a new set of tyres annually. Brilliant ABS. It doesn't need modes and has none. I'd prefer it had traction (one level) for wet roads. I'd also like an auto-blipper (downshifts). But this is minor. Its specced superbly. A great bike. Easy to ride, great brakes, fantastic engine, flickable and the best in class. Hear that engine, what a stormer.